I liked to wear some pullover and sweaters most of the time. I dunno, maybe this was my fashion statements, I also preferred myself to wear shorts than with some pants there. That’s why quite some times people found me bit quirky by putting these 2 pieces, shorts with sweaters on, most especially for today’s season, summer. Whoever try to wear sweater on the summer season? LOL yeah! that’s me! haha I am such nuts! 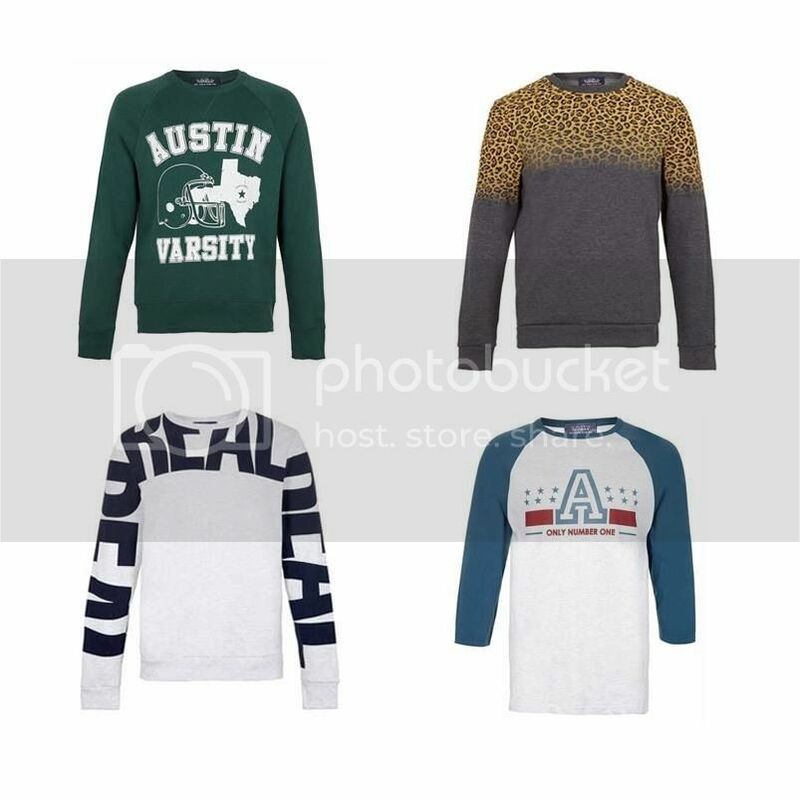 Anyway, a while ago, my fave brand which topman shared an photo over their fb page telling the fans and consumers that they’ll be having some new in items at the stores shelves soon which I found pretty exciting because look, these sweaters or pullovers are kinda in high-end designs most especially that white one on the third photo which has this great prints on the sleeves. I hope they will sell these items on the nearby topman stores where I reside. Alright, that will be all for now and sorry if I cant include further details about these pieces here. Because even me, I haven’t yet know any about these..LOl but no worries, its rest assured Topman will release an update on their fb page regarding on this new items soon.